Feel free to correct me, but last I heard Cebu Pacific is still operating as a budget airline. 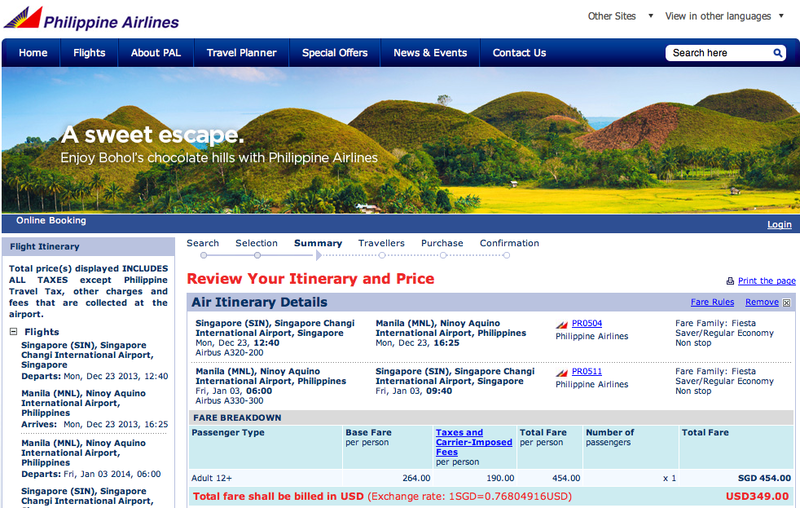 Now with the Davao runway mishap and all, I guess money might be a little tight, but this is just highway robbery. 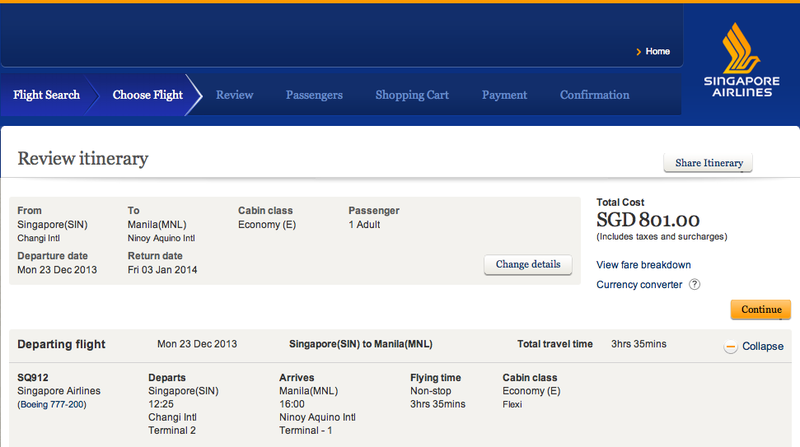 That's 993 SGD (~34k PHP) for a round-trip ticket from Singapore to Clark over the year end holidays. And that's without baggage allowance (I would not dare go home without pasalubong), and without the web admin fee (for a very lousy website, I might add). I know, I know, Christmas tickets are expensive. But to put things into perspective, let's look at Singapore Airlines, one of the world's top carriers. They only fly to Manila, but that's less than a hundred kilometers from Clark, on the same island. And look. It's two hundred dollars cheaper. That's with free baggage allowance and in-flight meal on a premium airline. And they're cheaper! 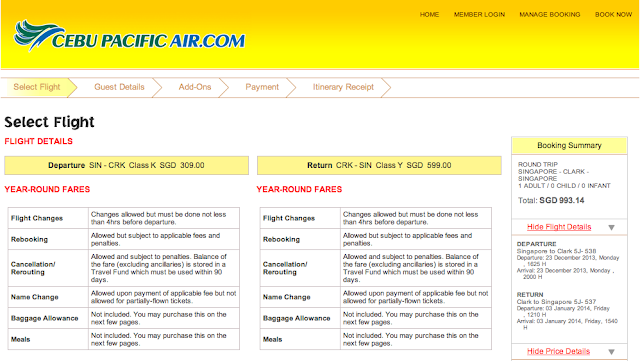 To be fair, CebuPacific tickets to Manila cost less, at around 550 SGD. Which begs the question: Does it really cost seventeen thousand pesos to go from Manila to Clark? I don't think so. And guess what? Philippine Airlines, a non-budget airline, costs a hundred dollars less. Explain to me how that makes any iota of sense. I have to clarify, though, that it's not like I'm dying to fly with Cebu Pacific. I happen to have the bumpiest, scariest flights with them. And do not get me started on the disruptive "games" and overpriced food. I haven't had a problem with the ground crew, but, well, Claudine Barretto made us all aware of their shortcomings, didn't she? It's just that they're the only airline left that offers daily flights to Clark (AirAsia and AirPhil pulled out, and Tiger cut back on flights), which is more convenient for me, and I simply assumed they would offer the most reasonable fares, being a budget airline and all. Thankfully, flight finder apps such as Kayak exist and I was able to cross-check the fares versus other airlines. So I guess the moral lesson of this whole rambling post is, always shop around before making a purchase. Just because it's "budget" doesn't mean it's cheaper.